Frances Cluett was born and raised in the fishing community of Belleoram, Fortune Bay, on Newfoundland's south coast. She came from a family of fish merchants and was descended from some of the area's earliest settlers. 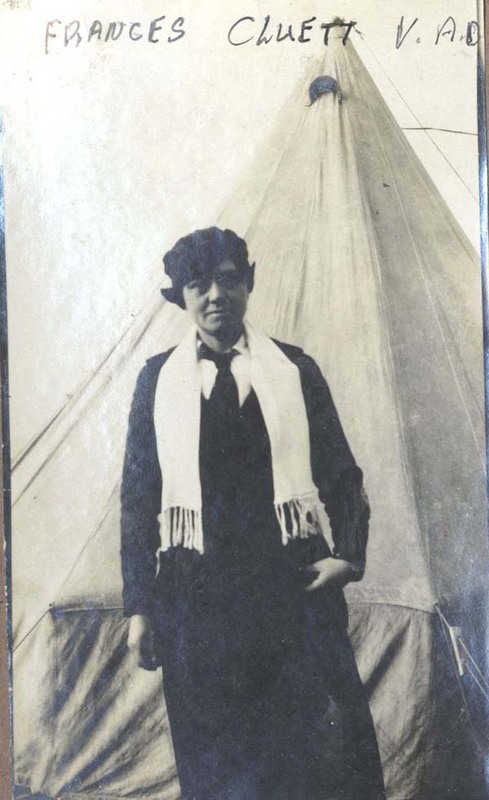 Frances Cluett, from Belleoram, Newfoundland and Labrador, served as a VAD in England and France during the First World War. Courtesy of Archives and Special Collections (Coll. 174 5.02.127), QE II Library, Memorial University, St. John's, NL. Cluett worked as a schoolteacher and took a leading role in local community and church groups. When the First World War broke out, she became president of the Belleoram branch of the Women's Patriotic Association (WPA). The WPA was an island-wide volunteer organization that made significant contributions to the war effort. Its volunteers raised tens of thousands of dollars and sent desperately needed food, clothing, and other supplies to troops overseas. 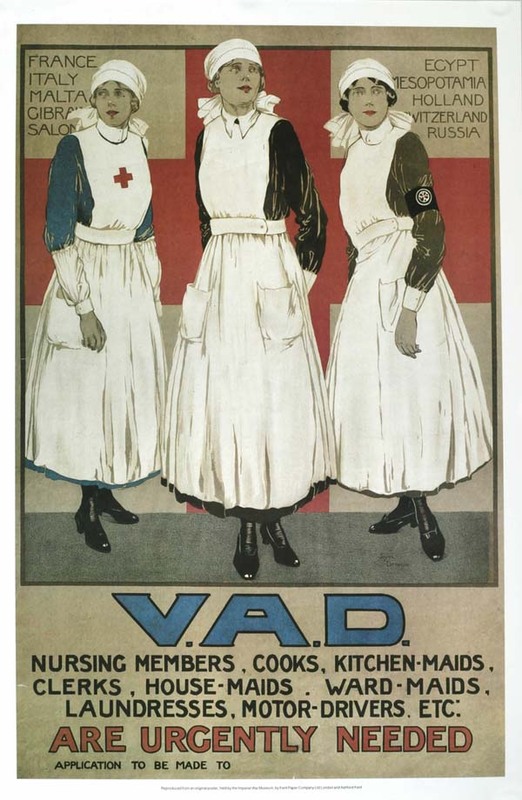 In October 1916, Cluett joined the Voluntary Aid Detachment (VAD) — an organization of semi-trained nurses who provided auxiliary medical services in the event of war. The first step in her wartime service was a trip to St. John's, where the 33 year old completed about four weeks of training. She wrote about her experiences in frequent letters to her family and friends in Belleoram. I arrived at St. John's Friday around 2pm. Wasn't a bit seasick coming, no more than on the land … At 8pm Mrs. Browning took me down to British Hall to the lecture room. I was just a little late. There were seven girls already there. Dr. Reeves lectured to us, then we had to apply bandages ourselves. I got an introduction to a Miss Janes; so I applied bandages on her. Mrs. Browning and the Dr. looking on. The first bandage went round the arm and body. Second fracture we had to splint the arm, and bandage also put in sling. Third bandage was around the elbow, fourth bandage around the fore arm, the last one around the hand." Cluett took her final exams on October 29 and then left the dominion. After a brief stay in New York and then London, she was assigned to the Fourth Northern General Hospital in Lincoln, England. The facility received convoys of wounded soldiers from the front lines. It was a shocking introduction to the brutality of war. "The fifth day when I was helping "Sister" with the dressings, I fainted away," Cluett wrote to her mother on December 31, 1916. "When I came to myself I was stretched out on the floor. I tell you I have seen some horrible wounds. I often have to turn my head and look out through the window." The British Red Cross Society formed the Voluntary Aid Detachment in 1909 to provide auxiliary medical service in the event of war. Courtesy of the British Red Cross Museum and Archives. In April 1917, she moved to a military hospital in Rouen, France. After only five months in England, she was going to the front lines. The rapid promotion was a testament to her skill, but it was also a symptom of the medical crisis facing Allied forces. At the start of the war, only the most experienced VADs were stationed near the front lines, but soon rookies were being shipped off to the overtaxed and understaffed military hospitals. Cluett's letters home became a life-line — a connection to a familiar and safe world, and to the people she loved. She wrote often and she anxiously awaited news from home. But perhaps even better than a postcard or letter, was the occasional parcel that made its way from Belleoram to the military hospitals where Cluett worked. It took them weeks to arrive and not everything survived the trip. "I got the cake parcel; but sad to say the cakes were mixed together as one and beaten to pieces just like sawdust," Cluett wrote on September 13, 1917. "First looking into the box you would really think it was a box of sawdust; but of course it tasted quite differently; I am more than thankful to you mother for sending them … I was so glad of the sugar, for one cannot buy an ounce for love or money. I have a tin of cocoa in my room that one of the patients gave me, and almost every night before I go to bed I have a cup of it; but without sweetness; so mother that sugar is like gold to me; one has almost to count the grains before using it." As the war stretched on, it took a heavy toll on Cluett. Her letters were sometimes despondent and she seemed to sense that a divide separated her from her friends and family back home — people who had not seen the violence of war, and who could not relate to her life-changing experiences overseas. We are awfully busy, nearly killed since this last rush. If this war does not soon end there won't be a man living on the face of the earth. It is brutal, it is cold-blooded murder, it is hell upon earth. Ah! If you could only see and go through what we do mother, it is enough to drive one mad." 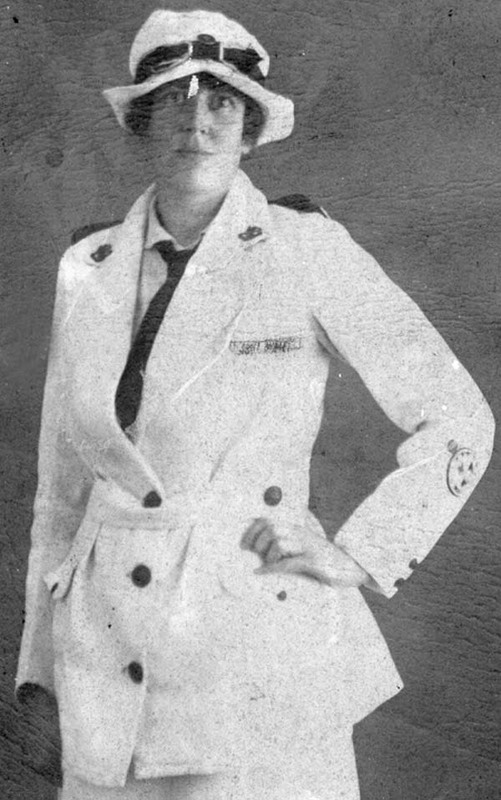 After the war, Cluett stayed in Rouen for a few more months to nurse wounded German soldiers and was then ordered to Turkey in the summer of 1919. She returned to Newfoundland in 1920 and spent the rest of her long life in Belleoram, where she taught primary school and ran a small store. Frances Cluett died in 1969 at the age of 86. During her time as a VAD, Cluett compiled a wealth of letters and photographs that today give us an important eyewitness account of Europe during the First World War. Her documents are deposited in the Frances Cluett Collection (Coll. 174) at the Archives and Special Collections at Memorial University's QEII Library. They are also available on the university's Digital Archives Initiative at http://collections.mun.ca/cdm/landingpage/collection/cluett.